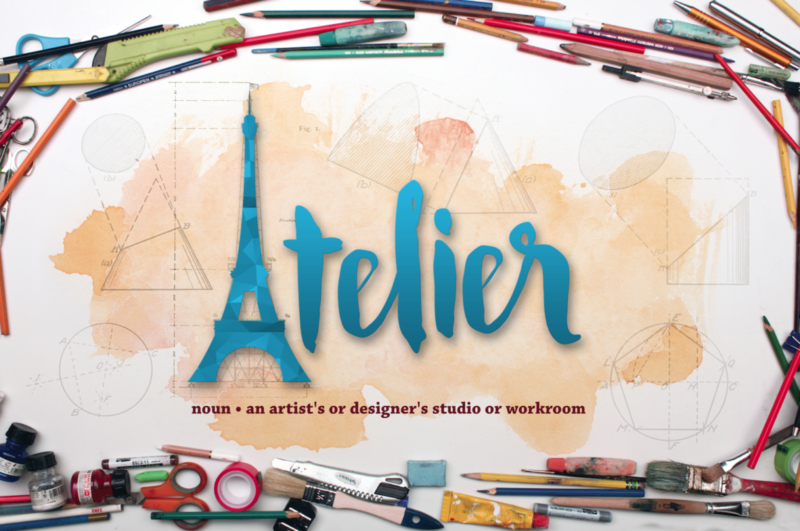 The Atelier™ is a unique and innovative concept designed specifically by Stepping Stone School to expand the artistic and design opportunities and education of our children. Created for ages three and up, The Atelier™is raising the bar of Early Care and Education experiences beyond anything offered elsewhere. The experience goes beyond the mere provision of materials. It focuses on the inner creative genius inherent in all children and provides them with character and creative role models allowing them to set goals and ascend to the highest levels of their creative potential. By pairing information with imagination, our children will be offered a priceless opportunity to exponentially expand their creativity, problem solving capabilities and the harmonizing of their ideas with others. The Atelier™ is comprised of three areas of focus; the Creative Art Gallery, Character Role Models, and the Architecture Studio. 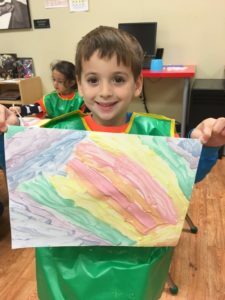 The Atelier™ is overseen by a seasoned artistic and creative educator who is available to guide the children while fostering their imaginations to take their learning to the next level. In Character Role Models, the children will focus on a monthly character trait from our “Communities of Character” curriculum. Their learning is furthered by focusing on a specific historic individual who exemplifies a particular trait and who will serve as a role model. When children understand that great things are attained by individuals exemplifying particular character traits this information becomes a catalyst for them to practice and demonstrate these traits themselves. This curriculum also develops an understanding of what it means to be a person of extraordinary character. 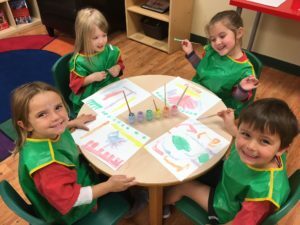 In the Creative Art Gallery, the children learn about historic figures from the world of art, many of whom have changed the entire direction of art over the centuries. This information will be melded with imagination by allowing the child to use creative materials related to the artist of study. The students will create their own original pieces of art in the style of the artist of focus. The gallery also features a large library and comfortable seating for children to use as they read and imagine! In the Architecture Studio, the children are provided with a room filled with open-ended construction, building and design materials. Once again, the students will be introduced to the leading architects, designers and inventors who left their mark on history. Children will learn about famous structures and buildings and how they were created and what impact they had on the world. The students will then use their imagination and their knowledge of real world structures to design and build a structure of their own. The Atelier™ instills leadership and inspires children to excel, achieve, and work in partnership with each other and grow in ways that go far beyond typical learning opportunities. 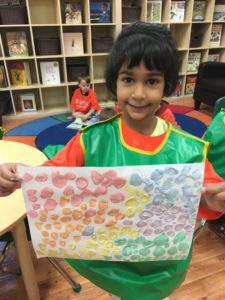 We are tapping into the inner creative spirit of each child in order to provide the highest, most authentic and most valuable form of education, learning and leadership possible.